This Horizontal Tote features a padded laptop sleeve for up to a 15.5” laptop, two interior slip pockets, and two pen pockets. Keep your water bottle, keys, and cell phone in the generous slip pockets on both the front and back. A full zippered top closure secures all of your possessions and the durable, yet soft, webbing shoulder straps are comfortable to wear and accented with metal hardware. One winner will be announced on Tuesday, September 23rd. This tote would be the perfect accessory to carry all my belongings in for work, school, and home. I could easily transport my laptop, planners, and other materials that I carry on a regular basis. Love Franklin Covey products and would make good use of this tote. Logged in to check into upgrading my FranklinCovey planner. While on your Facebook page, I saw the give-a-way and entered to win that sah-weet Horizontal Tote, which would be totally practical & beautiful! I\’m a PR consultant on-the-go with my laptop and meeting materials, so this gorgeous tote would be used daily. @GOCommunity #getorganized. Thanks! 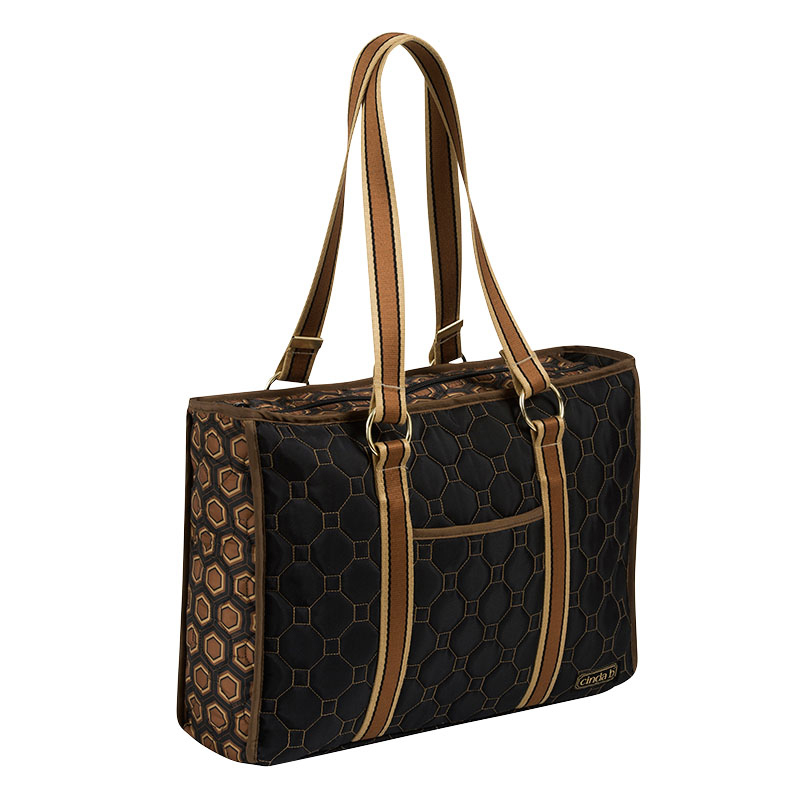 I love this Cinda B Horizontal Tote because it\’s a perfect Tote to bring anywhere & anytime. Making your day easy and organize with this Fab looking Cinda B Horizontal Tote. A Tote that Has it All. Have just worn out my second Covey bag and would love to have another one. Best quality, construction, and organization tools I\’ve ever owned. The Cinda B Horizontal Tote II is not only practical but also elegant and it covers a multitude of needs. I would be so thrilled to own one and to show it to everyone! Just think: I would no longer have to worry about where my cell phone is, as well as where my keys and my water bottle are. The best part, besides the beauty of this Franklin Planner tote, is that I would now have a place to keep my laptop safe and secure under the zipper enclosure, not to mention the addition of comfortable shoulder straps, something that I would look forward to. I would so love to own this tote and to use it seven days a week! Not sure if I should mention this, however, my birthday is next week, September 25th….. I need a bag this size to carry all my stuff in….because let\’s face it, I\’m a woman with a lot of stuff. I sadly can\’t ever justify buying nice bags (I\’m too frugal), but it would be great to have! I want it as a gift for my sister! Love to win for mom!